Agnieszka Marucha– Soloist, chamber musician, pedagogue and prizewinner of international violin competitions. Since 2017 the Leader of the Violinofonica Quartet and a member of the Galant Piano Trio. A versatile musician performing a wide repertoire from all periods on both modern and periods instruments. She holds a post-PhD diploma in Musical Arts received from the F. Chopin Music University, where she is currently an Assistant Professor of violin and chamber music. In 2013-2014 she was a visiting professor at Keimyung University in Daegu (South Korea). 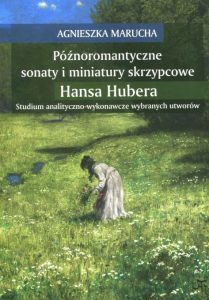 She is regularly invited to give masterclasses at music courses such as Bosa Antica in Sardinia, Italy, Chopin-Górecki in Warsaw and in Łańcut. Recently Ms Marucha has given master classes in Brunei, China, Denmark, Italy and Scotland. A prolific recording artist, she has released 9 CD albums, 7 of which included world premiere recordings. Her latest project was a CD featuring world premiere recordings of violin concerto by Raul Koczalski (AP0504). In 2013 she gave the Korean premiere Lutoslawski’s Chain II with the Keymyung Symphony Orchestra in Daegu, and in 2014 she was the winner of the Fryderyk Polish Phonographic Academy Award (Contemporary Chamber Music category with Opium String Quartet). Ms Marucha comes from a family with strong musical traditions. She is a graduate of the Chopin Music University in Warsaw, Zuid Nederlanse Hogeschool voor Musiek in Maastrich and the Hochschule der Künste in Bern where she studied with Miroslaw Lawrynowicz, Robert Szreder and Monika Urbaniak-Lisik respectively. In 2008 she completed the Doctorate Programme at the Chopin Music University under the mentorship of Professor Jan Stanienda. She also studied baroque violin with Chiara Banchini at the Schola Cantorum Basiliensis in Switzerland. Ms Marucha was awarded the 3rd Prize at the 5th International Szymanowski Violin Comeptition in Lodz, 1st Prize at the National Violin Auditions in Elblag and a Distinction as well as a Special Prize a the 4th Jahnke Violin Competition in Poznan. For two years in a row she was the recipient of the Studienpreis at the Kiefer Hablitzel Foundation Competition in Bern. As a member of the Polish Duo she was awarded the 1st Prize as well as several Special Prizes at the 1st International Chamber Music Competition in Zakopane and the 2nd Prize, and the Gaudeamus Foundation Prize at the Penderecki Contemporary Music Competition in Cracow. Concert engagements have taken her to most European countries as well to Asia. 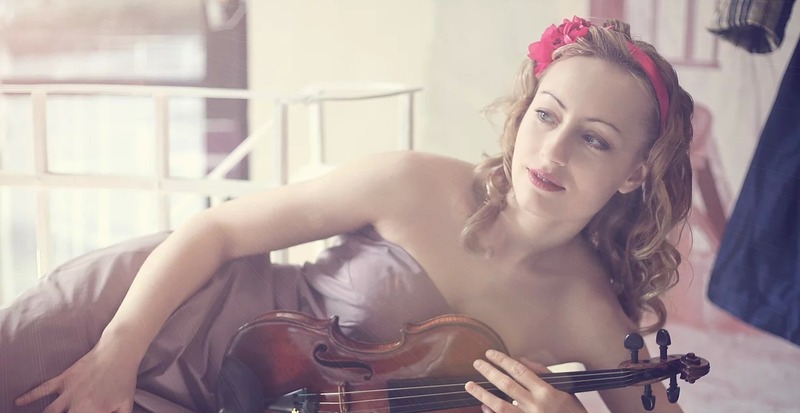 She has taken part in many Festivals across Europe and performed as a soloist with the Bern Symphony Orchestra, Anglian Chamber Players, Aurora Philharmonic, Symphony Orchestra of the Chopin Music University, Lancut International Festival Orchestra and various other symphony orchestras across Poland. As a member of the Ensemble Modern she has performed in many major venues including the Philharmonie in Berlin, Baden-Baden Festispielhaus, Alte Oper in Frankfurt, Amsterdam Concertgebouw and Salle Pleyel in Paris. She has worked with such conductors as Pierre Boulez, Peter Eotvös and Paavo Järvi. Ms Marucha has made many recordings for radio and television stations. Ms Marucha was a scholarship holder of the Polish National Children’s Trust, Polish Ministry of Culture, Chief of the Cabinet/Polish Government, Swiss Government Scholarship (ESKAS), Lyra Foundation and Kiefer Hablitzel Foundation. Apart from music, Ms Marucha is interested in journalism, writing her blog (www.agamarucha.blogspot.com ) and reviewing for the Polish classical music publication Muzyka21. More information can be found on Ms Marucha’s website www.agamarucha.com.